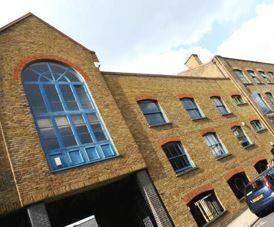 Dod street office space is a warehouse type of building that is located conveniently near a mainline train station. Overlooking a lovely canal, the property has some stunning features including exposed roof beams, bare brick walls, and large windows. Amenities for the area are good with a selection of shops at West India Docks and Limehouse basin. Canary Wharf shopping centre and tube station is also close by and accessible via the DLR network. With services and amenities available in the Business Centre, companies can take advantage of the onsite car park and meeting rooms. The actual offices for rent come in various sizes and have IT cabling in place ready for connection even at short notice.